Here’s what some of our satisfied customers are saying…. "Dave Bennett turned up at the time promised and worked very hard in cold and unheated conditions. The result of his efforts are outstanding, and this was achieved in less than half the time of other people we have used in the past. He is a polite and pleasant person and I whole-heartedly recommend him to anyone wanting any work done". "Excellent job. A very pleasant man where nothing was too much trouble. If you want a conservatory built, he is 'the one'. Would certainly use him again". 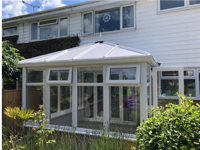 "Thank you very much for making such a good job of our conservatory. We are very pleased with it and it looks great! Time to start decorating!" "Excellent standard of work. A very friendly nature and happy to help. We are really chuffed with the conservatory. We will use again in the near future". "I have been really impressed by Mr Dave Bennett, who has lain tiles in my conservatory. He completed the job in a timely manner. Also, the job is so neat and clean that he collected all rubbish after the work was completed. He is also very honest. I recommend Dave Bennett as the best builder I have had so far". 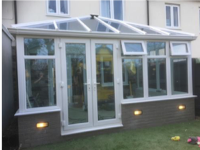 "Dave, we would like to thank you for the excellent service in installing our conservatory. Your expertise in fitting all the pieces together was a joy to watch. The speed in which it went up was amazing, two days!! And one of those days was pouring rain. We would have no hesitation in recommending you to future clients. Thank you once again". 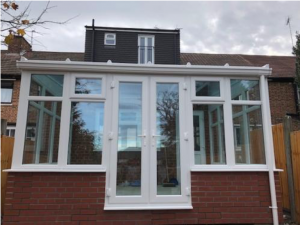 "Thank you Dave Bennett for the excellent work you carried out installing our conservatory, your work ethic, professionalism & workmanship was outstanding. From seeing the drawing of the conservatory is always difficult to picture what the end result would turn out like, but what a result, it was beautiful!! 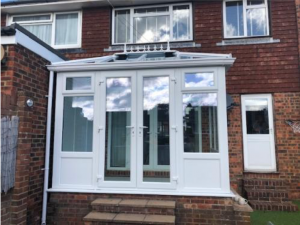 My wife and I are so pleased with the result and how it compliments our home, we would certainly recommend you to our friends and others who we are sure would be of the same opinion as ourselves. Thanks once again".